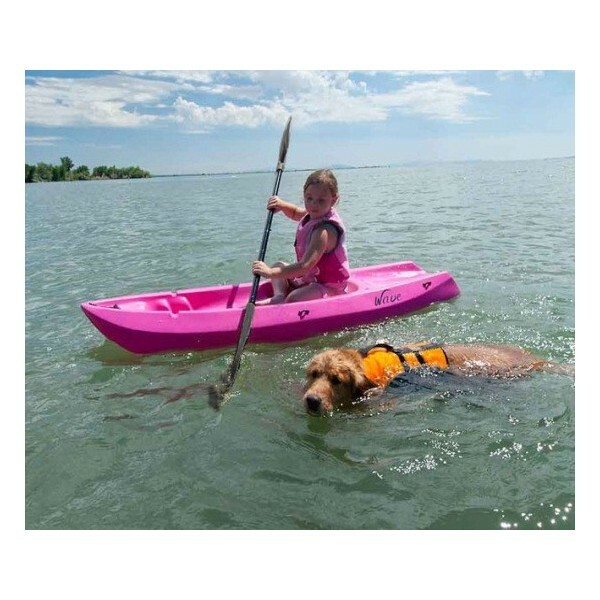 The 6 ft Wave Kayak for kids is designed for superior stability on the water--almost impossible to tip over! Smooth one piece blow-molded plastic construction has no protruding hardware and lots of innovative built-in features like multiple footrests and a paddle cradle. 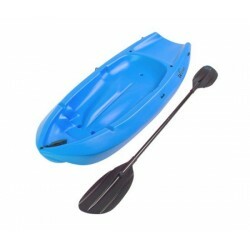 This is the perfect little kayak to introduce your child into aquatic adventures! Includes paddle. Lifetime's 6 ft. Wave Kayaks provide big fun for your little one. Specifically designed for their size and their safety with easy climb on rear deck. This kayak for kids is designed with a tunnel hull for stability so it's practically impossible to tip over! Perfect for lakes and ponds. Recommended for adventurous children age 5 and up. Weight capacity 130 lbs. Includes paddle. Note: Designed for flat water use only. This youth kayak has a reverse chine design in hull provides to provide great stability. There's a built-in paddle cradle and multiple built-in foot rest positions for different sized riders. Designed with scupper drains which allow drainage of interior water in the cockpit area. 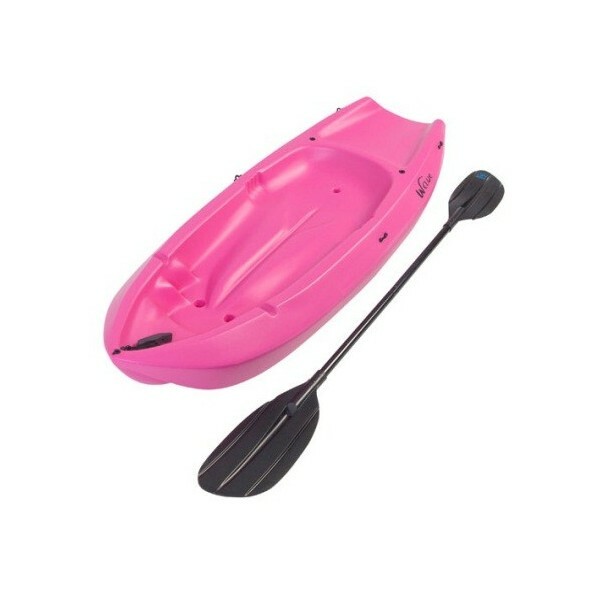 Molded-in finger handles on each side of the kayak and a towing handle make it this kayak easy for kids to carry. Flat ended for upright storage. 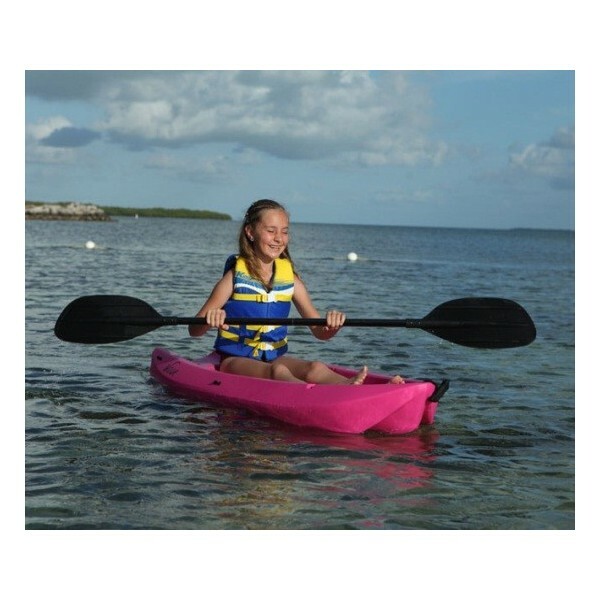 The Lifetime youth kayak is constructed from high-density polyethylene (HDPE) plastic for light weight and durability and blow molded for a soft contoured one-piece construction with no protruding hardware to scrape or scratch. 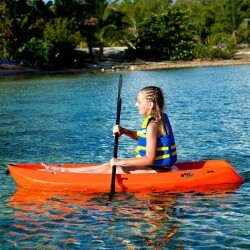 Introduce your kids to the wonderful world of water sports with the 6 ft Wave Kayak. 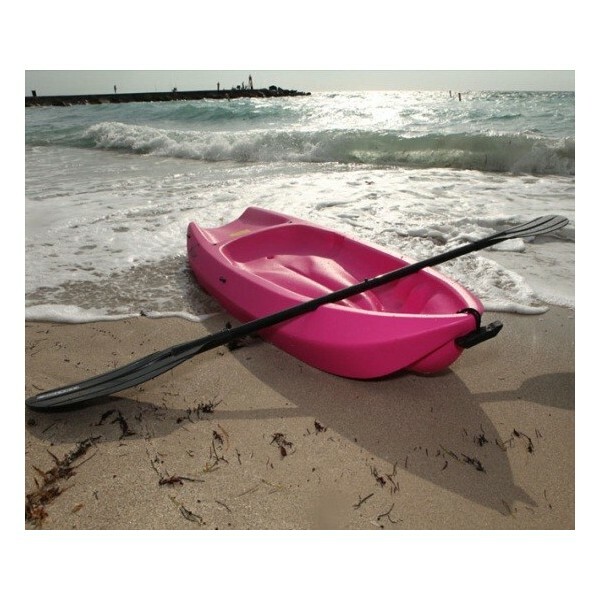 This youth kayak is designed for superior stability on the water--practically impossible to tip over! Smooth one piece blow-molded plastic construction has no protruding hardware and innovative built-in features like footrests and a paddle cradle for easy functionality. The Lifetime 6 ft. 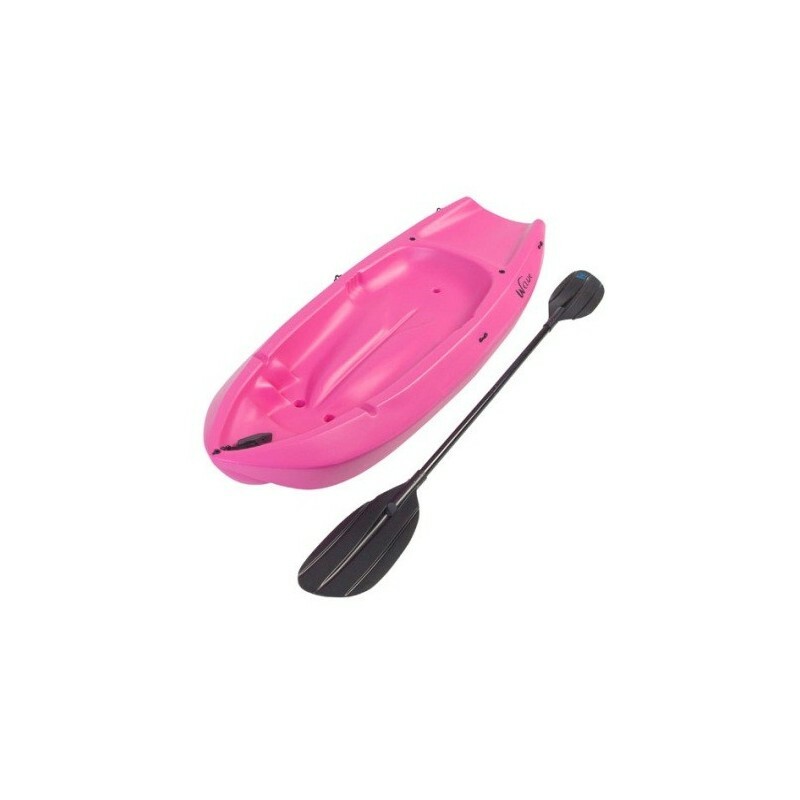 Wave Youth Kayak is constructed from durable, lightweight polyethylene with a twin fin design to assist with tracking and reverse chine hull design for stability. 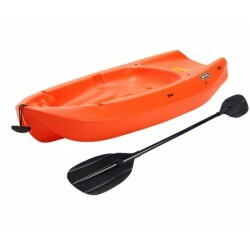 This kids kayak is suitable for kids ages 5 yrs. old and up to 130 lbs. One double-sided black paddle is included. 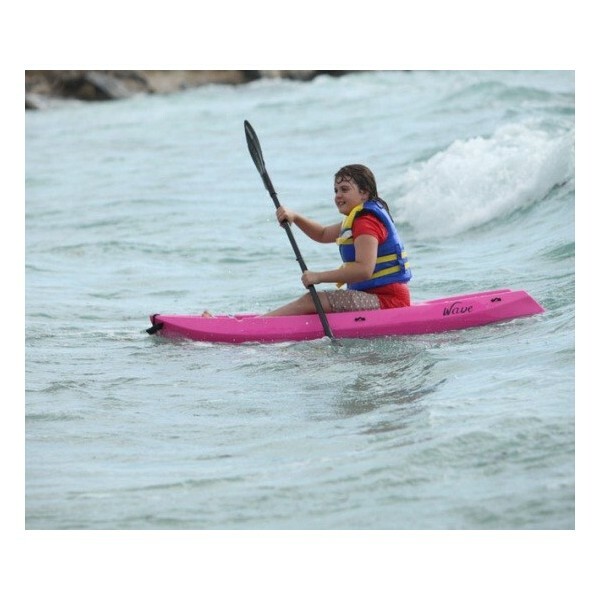 The Lifetime 6 ft Wave Youth Kayaks are constructed from high-density polyethylene plastic for light weight and durability. Easy to manage and transport. Designed for safety and stability. Multiple molded-in footrests to accommodate riders of various sizes. Appropriate for ages 5 yrs. old and up to a 130 lbs. Paddle included. The Lifetime 6 ft. 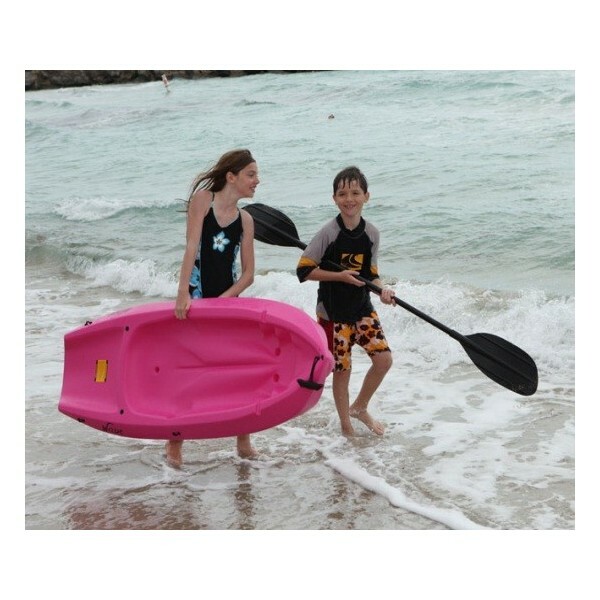 Wave Kayak for kids is constructed from high-density polyethylene so it's durable and lightweight. 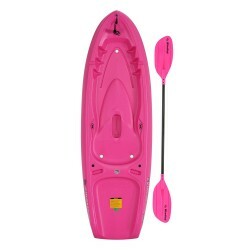 This kayak is designed for super stability so it's perfect for beginners. FREE Fast Shipping! 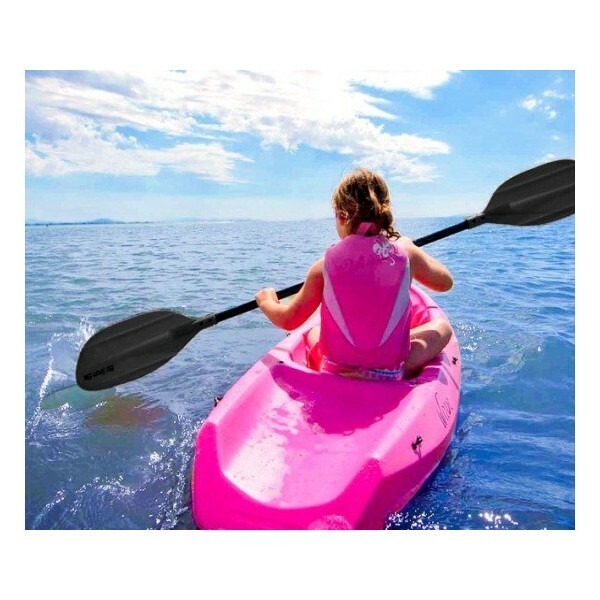 With scupper holes, multiple footrest positions, and great stability, the Wave is perfect for kids recreational kayaking.FREE Fast Shipping! Start your young kayakers out on the water in the Emotion Recruit 6.5 Kayak! 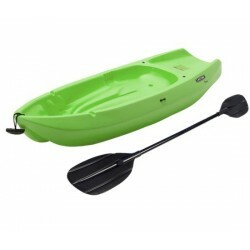 The Emotion Recruit 6.5 Kayak is a great option for beginner paddlers. 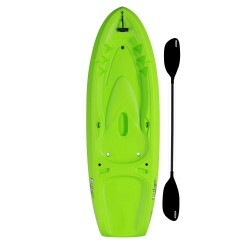 Comes in pick with paddle, center carry handle, and a swim up deck with a 5-year limited warranty.FREE Fast Shipping! Looking for a perfect kayak for your little one? The Lifetime Dash 66 Kayak is a great kayak for smaller paddlers. 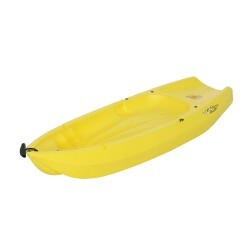 It has a carry handle molded into the seat, Making it easy and convenient to transport to and from the water. FREE Fast Shipping! Let your kids enjoy the summer and have some fun! 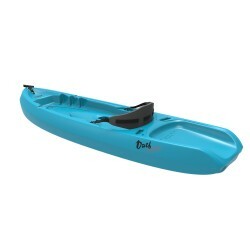 The Lifetime Dash 66 kayak is perfect for smaller paddlers. It has a 150 lb. weight capacity, comes in lime green and a 5-year limited warranty. FREE Fast Shipping!